Robert Plant is a British rock singer, songwriter, and musician. He is best known as the lead vocalist and lyricist of the British rock band Led Zeppelin, and is widely considered to be one of the greatest vocalists in the history of rock music. In addition to Led Zeppelin, Plant had a successful solo singing career. He released a duet album, Raising Sand, on October 23, 2007 with bluegrass fiddler Alison Krauss. Born Robert Anthony Plant on August 20, 1948 in West Bromwich, West Midlands, England, UK, to parents Annie Celia and Robert C. Plant, he became interested in singing and rock and roll music at an early age. He performed with a number of groups before he was discovered by Jimmy Page (guitarist and founder of the rock band Led Zeppelin). He was married to Maureen Wilson from 1968 to 1983. He has four children: Carmen Jane, Logan Romero, Karac Pendragon and Jesse Lee. *He was born on August 20, 1948 in West Bromwich, West Midlands, England, UK. *He was the lead singer and harmonica player in the rock band Led Zeppelin. 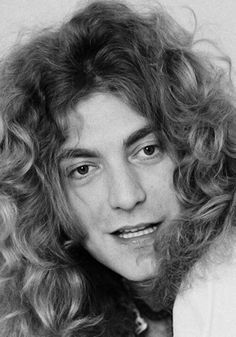 *As a member of Led Zeppelin, he inducted into the Rock and Roll Hall of Fame in 1995. *Led Zeppelin broke up in 1980, and Plant launched his solo career in 1982. *He was ranked #37 on VH1’s 100 Sexiest Artists. *Elvis Presley and The Doors’ lead singer Jim Morrison were his biggest influences. *He was awarded the Commander of the Order of the British Empire (CBE) in the 2009 Queen’s New Years Honours List for his services to music.